Great New Products for 2015! These are just some of our favorite new products offered by our suppliers. 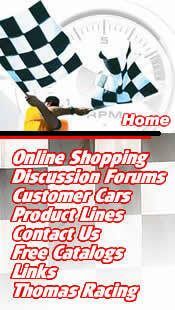 Visit our Contact us page for more info, or to place your order! Click the image to download the entire pdf. Affordable collapsible safety column. 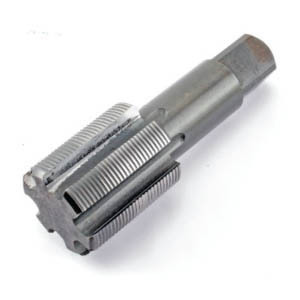 Includes an aluminum spined quick release, and support bearing. Overall length 22-32" or 32-42". 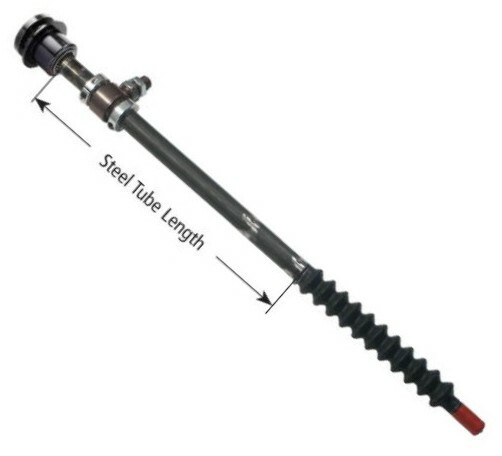 Attach to steering shaft with splined coupler or u-joint. Eliminate dropped or lost fasteners. 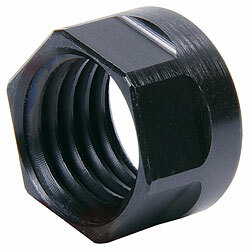 Can be used with a 1/2" wrench, 1/2" socket or direct fit with a 1/4" drive ratchet/extension. 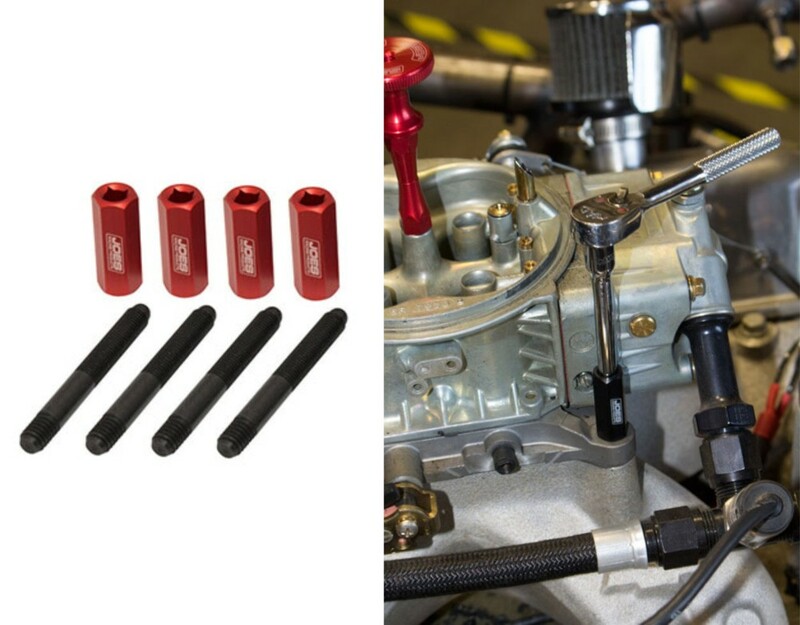 4-pack, kits with or without studs, short or long (for carb spacers). Time laps for 1, 2 or 3 competitors at once. 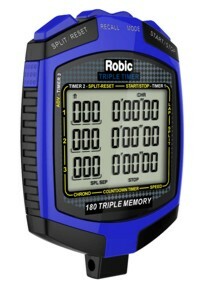 With simultaneous, on demand 180 lap memory recall of up to 3 timers. Backlit LCD, lanyard with breakaway included. 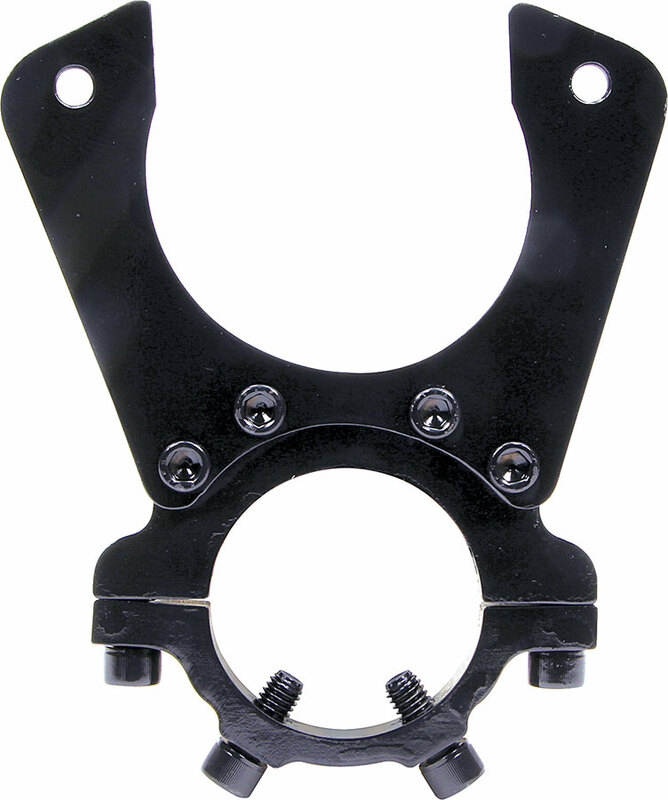 3-piece modular caliper bracket fits GM metric calipers. Bracket bolts to clamp for 3" diameter axle tubes. 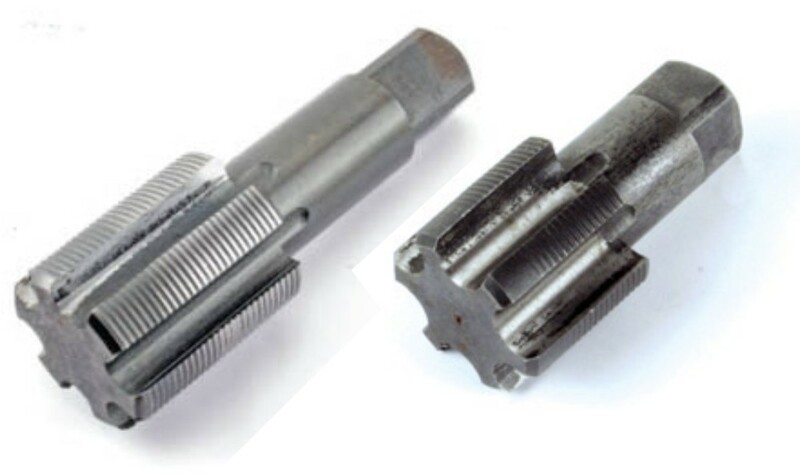 Locking bolts install into axle tube to prevent bracket from rotating. Designed to seat tires on the bead of wheel simply and safely. Heavy duty ball valve on air inlext & exhaust port. 5 gallon tank. on Ford 9" housing rear end swaps into street stocks & others. Saves as much as approx. 24 lbs versus big 11" Ford drums. Aluminum insert installs into a 3/8" O.D. hole and has a 1/4"-20 coarse I.D. hole to fasten body panels or other accessories. 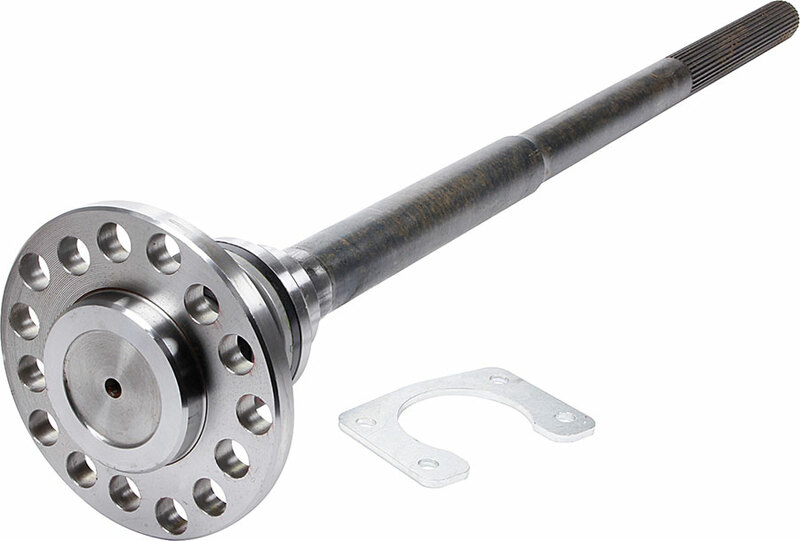 31spline Ford 9" Cut-To-Fit axles have 9-10" long spline. Multi-pattern for 5 on 4.5", 4.75 & 5" bolt circle wheels. 3.150" O.D. bearing installed for Big Ford (New Style) housing ends. 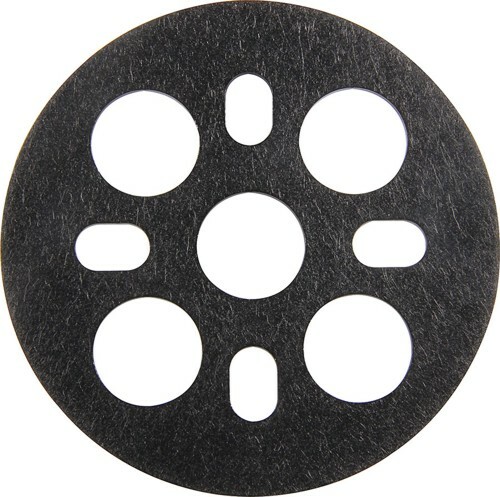 Drilled for .687" press-in style wheel studs (sold separately). 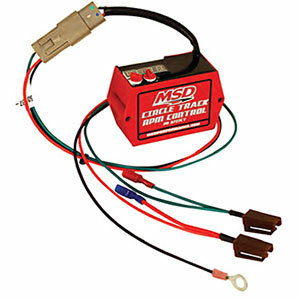 Plugs into nearly any GM style V8 HEI Distributor. Adjustable Rev Limiter from 3000-9900RPM via 2 rotary dials with an easy to-view LED that displays highest rpm reached during race. If connection is lost or is manipulated during a race a fault code will be displayed. Epoxy encased. 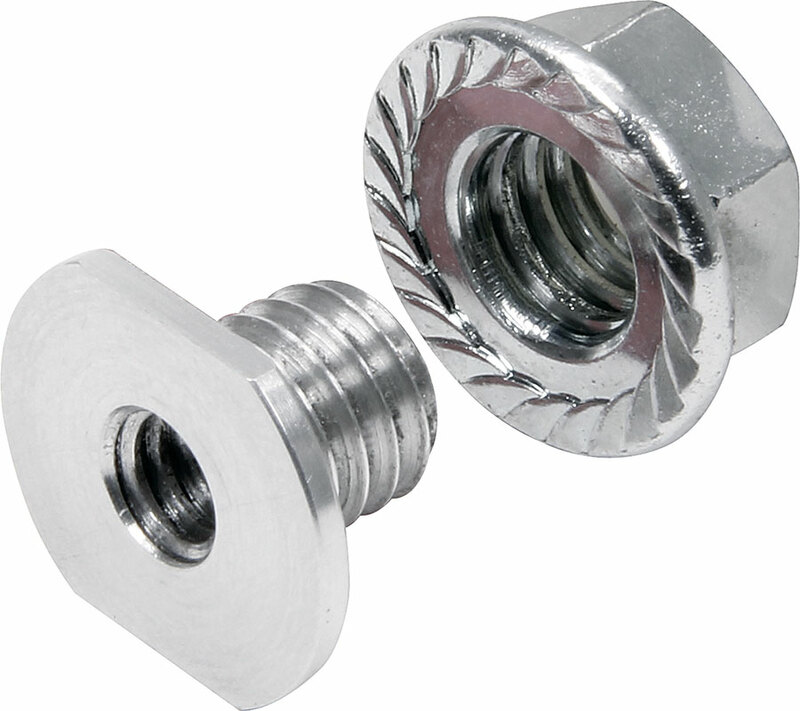 Prevent your jack bolts from winding themselves down on rough tracks. 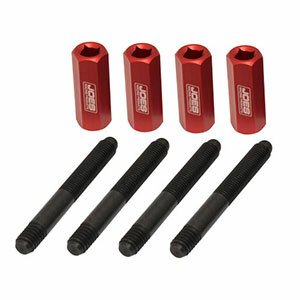 Available for 1"coarse (pictured) or 1-1/8"fine jack bolts. 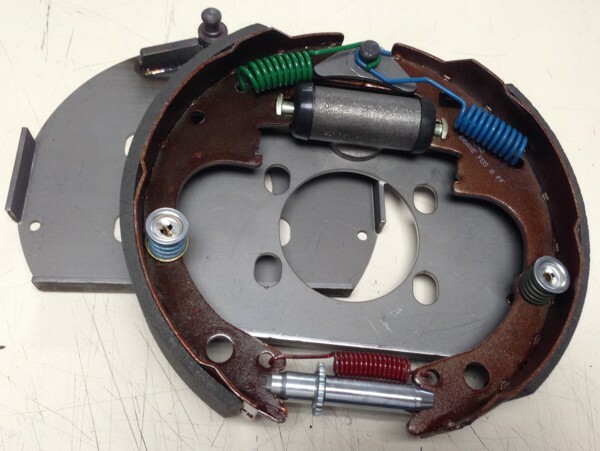 This plate installs beneath the mounting hardware to strengthen fan mounting location and prevent hardware from damaging the fan. 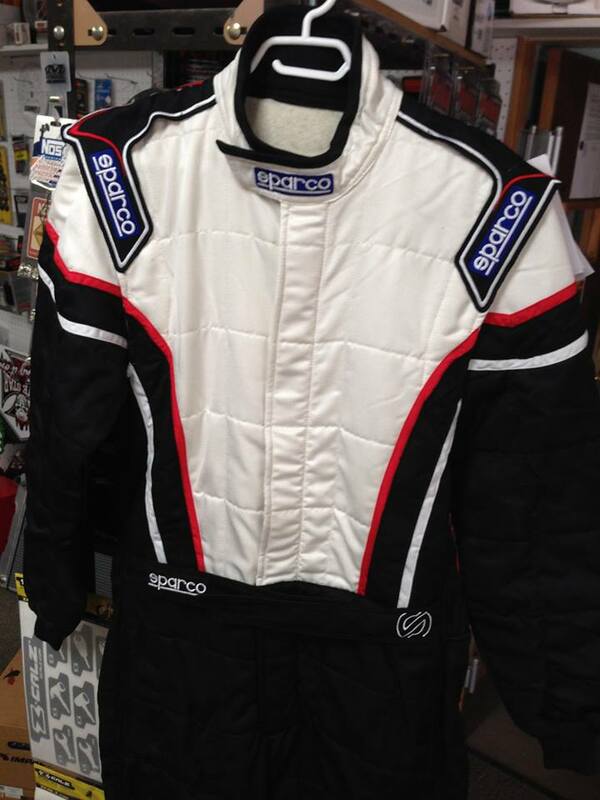 The latest evolution of Sparco's Pro Cup suit - redesigned with a new look & added features. Made from advanced Nomex® fabric for superior fire protection, breathability and comfort. 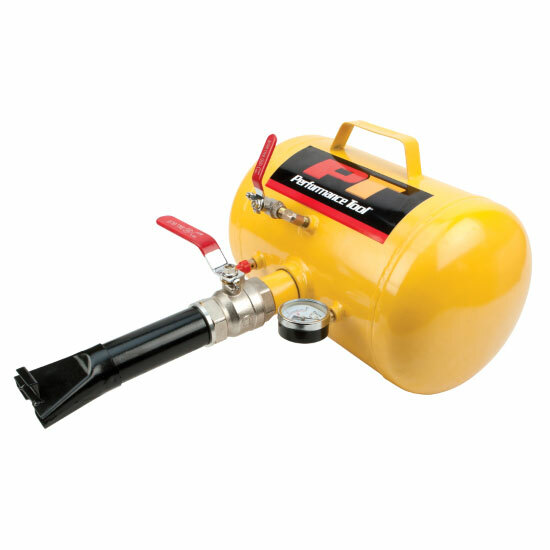 SFI 3.2A/5 and FIA 8858-2000 approved.